Joyetech's latest addition to the ESPION family, The ESPION TOUR ! 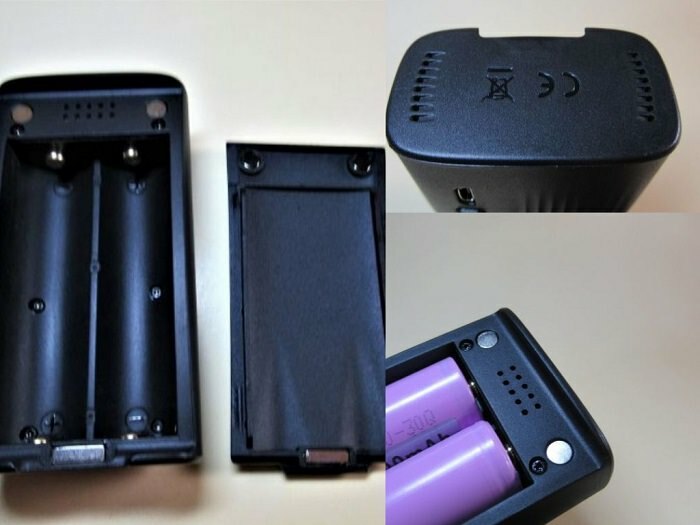 Its powered by 2 x 18650 batteries and capable of reaching 220W output. It comes with 2A quick charge. It has a 0.96 inch screen . It measures 48 x 33 x 140mm8.55 ozs complete with batteries and a full tank. (the mod alone, no batts is a mere 2.75 ozs.) Its extremely light and is comfortable in hand. it has standard 510 connection. The door attaches with 3 strong magnets and there are lots of vent hole ,both under the battery door at the top and again o the bottom. 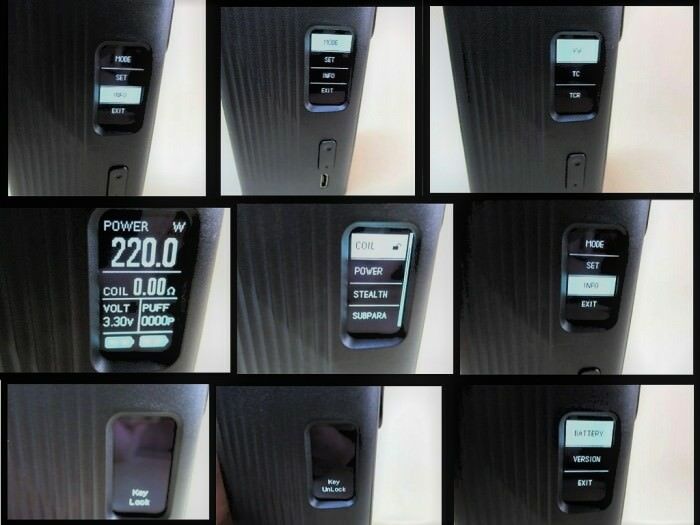 It includes Power mode as well as Temp(NI,TI,SS) and TCR. It has all the protections against over-charge and short circuit. The OLED screen is exceptional because it is very easy to read when your outside. 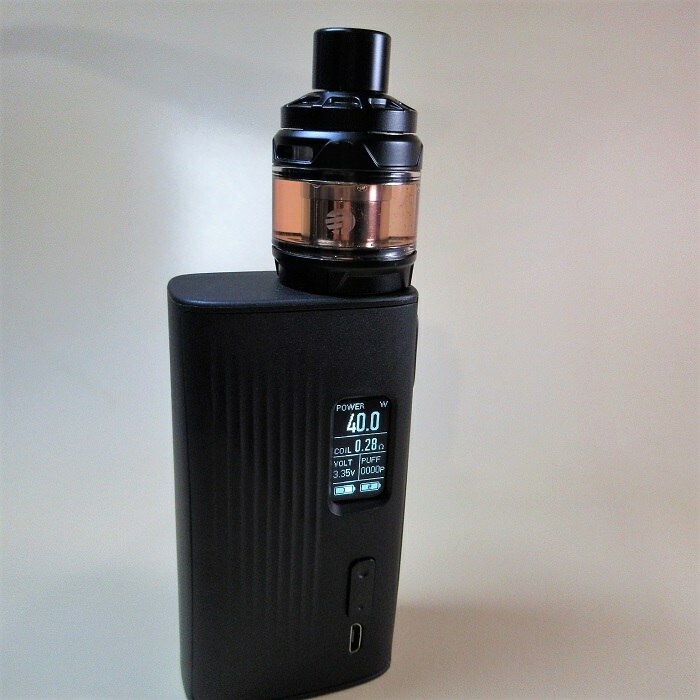 go to http://www.joyetech.com/mvr-software/ to download when upgrades are available . 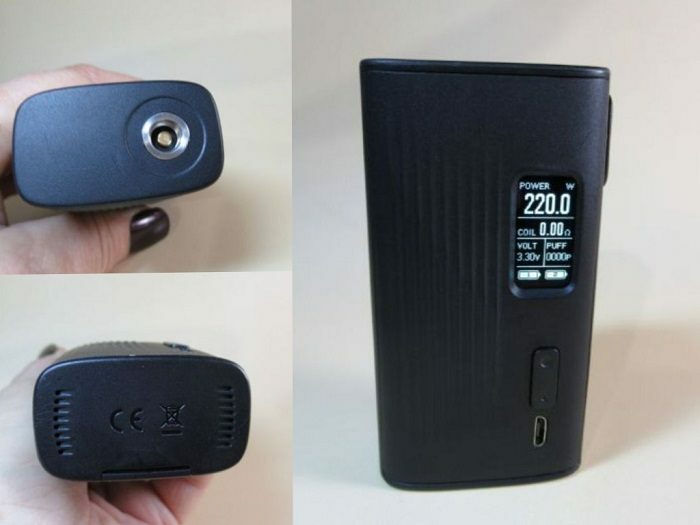 The "Innovative Joyetech NCFilm*TM heater" is made of Kanthal and provides a large heating area. Its designed to last approximately 3 months with the recommended setting of around 40 watts. I found it better at 35W. There are 2 large slots to allow the juice to reach the cotton so you never have to worry about dry hits . For better instructions check out this video. changing your cotton is so simple!! !It comes with about 10 pre-cut pieces but when they are gone simply cut to the size of the set-in rectangle ,lay it in said rectangle, add a few drops of juice to hold it in place, place it in position matching the notch (see arrows) then secure it by attaching the bottom ring over the base. That’s it! Fill'er up ,attach it to your TOUR and 'vape on' ! The ESPION TOUR is comfortable easy to use with lots of power. I'm amazed at how light it is compared to the rest of the ESPION Family. I'm not sure on the material used but 4000 puffs in and a couple of good falls its very strong and unscarred. Battery life is also great. I can easily get a full fay on a single set of batteries. 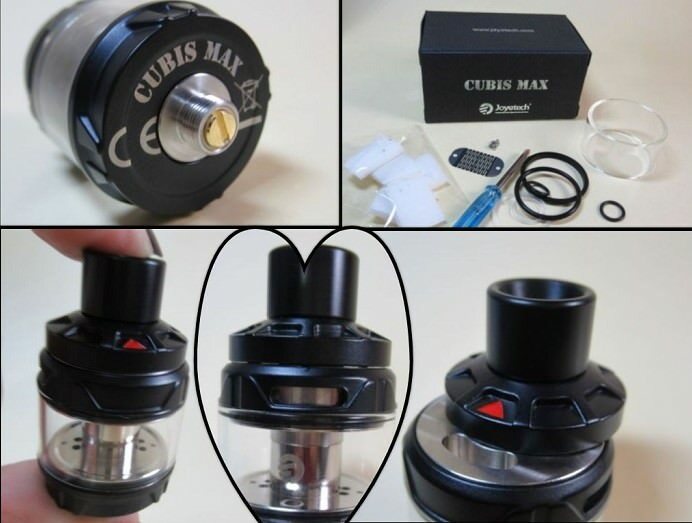 This is my second Cubis Max and like the first one ,the same issue is still there, I get a bit of leakage around the fill hole (not the top air flow) its coming from under the lid per say . It seeps out causing a bit of a messy annoyance , nothing major but I believe if Joyetech added a silicone plug with a slit in it ,that would fix it. Although the NCFilm is supposed to be 0.25, I found mine reading up to 0.28 which is not bad in my opinion. Heat-up is very fast. 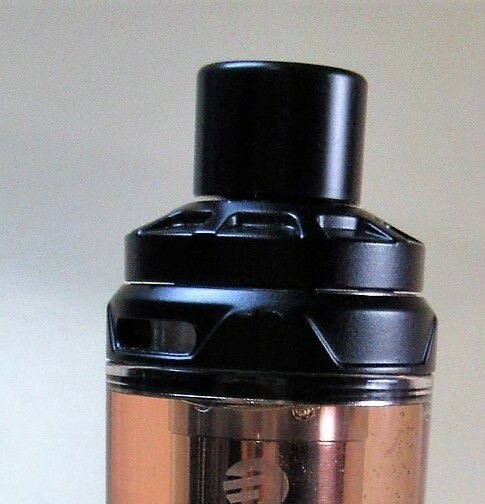 To me vaping with the NCF at 35W is very similar to vaping at 50W-60W with other tanks n' coils. Flavour is great and clouds are plentiful. I love the fact that its so simple to change the cotton that you can change it for a new flavour every tank full if you so choose! Never ever a dry hit. No spit back. It's quite quiet. I honestly love this tank but hope the leakage problem can be fixed. Great review Liz, I'm a bit late with mine, I've been ill and can only do simple Insta posts just now. The Tour is lovely, light and powerful. As I said over at ECF, silicon is proving to be a problem when terpene heavy liquids are used. anyway................................I love the cubis and I just want a fix you can see (I think) the crack where it leaks,and I never lay it down,but when I tip it to vape....I even get drops on my shirt.I thought with mt Ultex that I maybe got a faulty tank but this one is doing it too I'm still using them because they are my favorite tanks but I need a fix...might have to make a cedar plug I cant believe no one else is having the issue? maybe no one loves them like I do and don't use them constantly enough to notice Can you see it in the pic? There's a new member here who had the problem, the conversation is in the "new members post here thread" They had a replacement and that one is fine they say. I also found a post on insta under hash- cubismax where someone has the same issue. 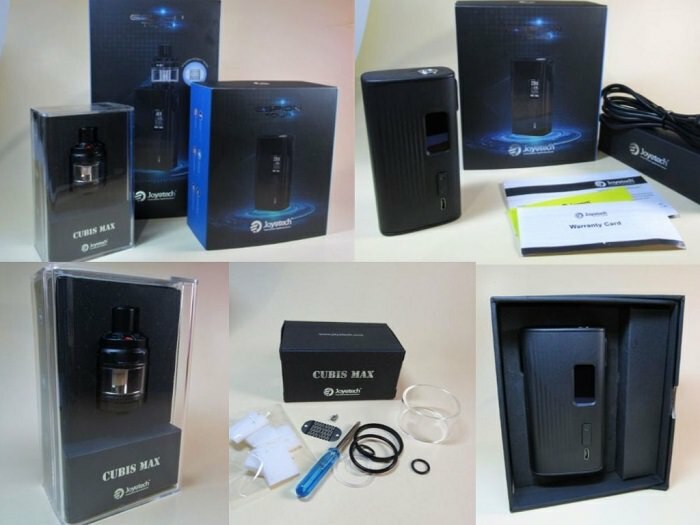 I just looked at my Cubis Max tanks and they do not have a gap there, so yours is faulty. You found the problem! As they are not using a silicon insert seal it just runs out! Manufacturing tolerances are not tight enough it seems. I think you should PM Ellen here sending her the image, she will contact the factory, I've done the same a couple of times with QC issues.